The Cordoba range utilizes a rule and matrix system to crease substrates prior to folding. Heavy board or plastics, with solids, or lamination in addition to cross grain or digitally printed work can now be created without a die-cutting machine. The Cordoba incorporates a traditional folding section with a knife and matrix creasing unit. The folder has a modified roller configuration and fold plate angle, which eliminates cracking and curl when folding heavy stocks. Attachments can be added e.g. 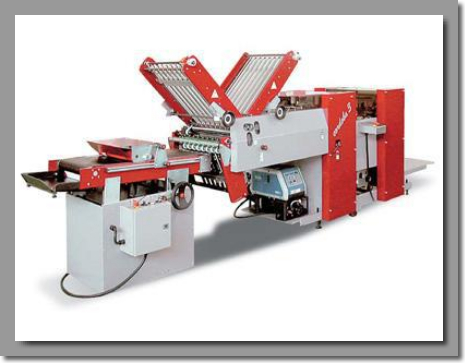 : perforating, punching, gluing, in addition plough folds can added to produce presentation folders. The machine can crease from 0 sm2 to 500 gsm2 and fold from 150 gsm2 to 500. When folding lightweight stocks a standard folding unit can be added.